Paul Michael Patrick McNamara, age 71, died at 4:01 p.m. Wednesday, May 30, 2018, at Barnes Jewish Hospital in St. Louis. He was born Nov. 26, 1946, in St. Louis, the son of the late James and Catherine Stokes McNamara. He married Cynthia Lynn Hall on May 24, 1980, at the Holy Family Log Church in Cahokia. She survives. In addition, he is survived by his children Ryan McNamara, and wife Dana Sayler, of St. Peters, Erin McNamara-Stafford, and husband Andrew, of Troy; grandchildren: Garrett Charles and Catherine Hanora Stafford; nieces: Rachel McNamara, and Nelson Libell Jr., and their son, Jaxson McNamara, and Tara McNamara, and her children Chase and Susan McNamara; nephew Sean McNamara, and wife Kelly, and their children Makenzie, Liam, Quinn and Connor. In addition to his parents, he was preceded in death by one brother: Thomas. 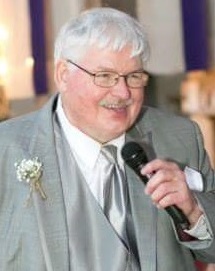 Mr. McNamara was formerly of East St. Louis and attended St. Boniface Catholic Church in Edwardsville. He attended St. Elizabeth Grade School in East St. Louis and graduated in 1964 from Assumption High School in East St. Louis. He attended Belleville Area College and SIUE and was a member of Edwardsville Knights of Columbus Council 1143, Fourth Degree Assembly 225. He worked as a city and urban planner for Cahokia and Edwardsville and the Southwestern Illinois Metropolitan and Regional Planning Commission. Visitation will be at 4 p.m. to 8 p.m. Monday, June 4, at Saksa Mateer Funeral Home in Edwardsville. Funeral services will be at 10 a.m. Tuesday, June 5, at St. Jerome Catholic Church in Troy. Interment will be in Mt. Carmel Cemetery in Belleville. Memorials are suggested to the Knights of Columbus or the American Cancer Society.